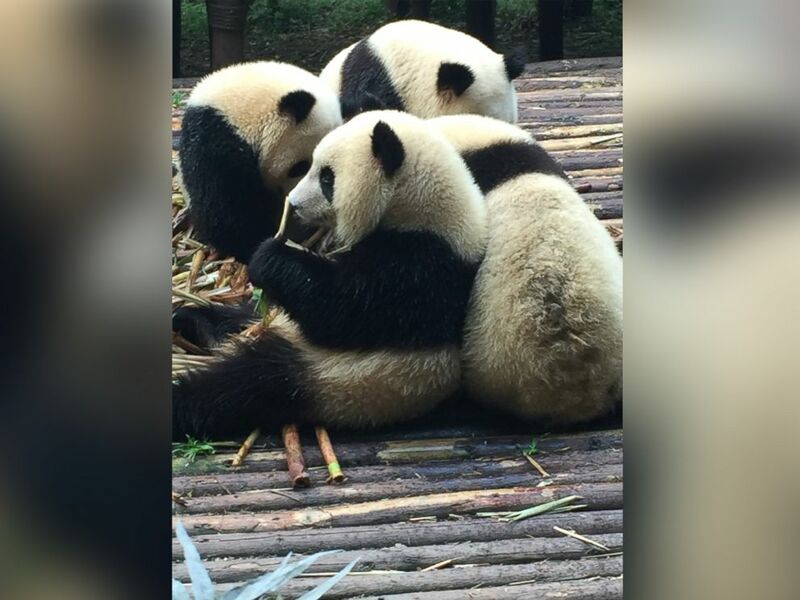 ABC's openly gay anchor Robin Roberts has spent some time with Pandas in Chengdu Research Base of Giant Panda Breeding, while on her trip to China to report on the historic opening of the Shanghai Disney Resort. China, the world's fourth largest country, is home to almost 1900 pandas, one of the most endangered species in the world. While the number wouldn't make your jaw drop, the fact that the bamboo-eating creatures existed in almost half that number only before a decade ago should be the testimony to how well the government, as well as local agencies, have worked to keep their national treasure safe from being defunct creatures. The 'Good Morning America' co-anchor was accompanied inside the reserve’s baby panda pen by her guide, Mason. 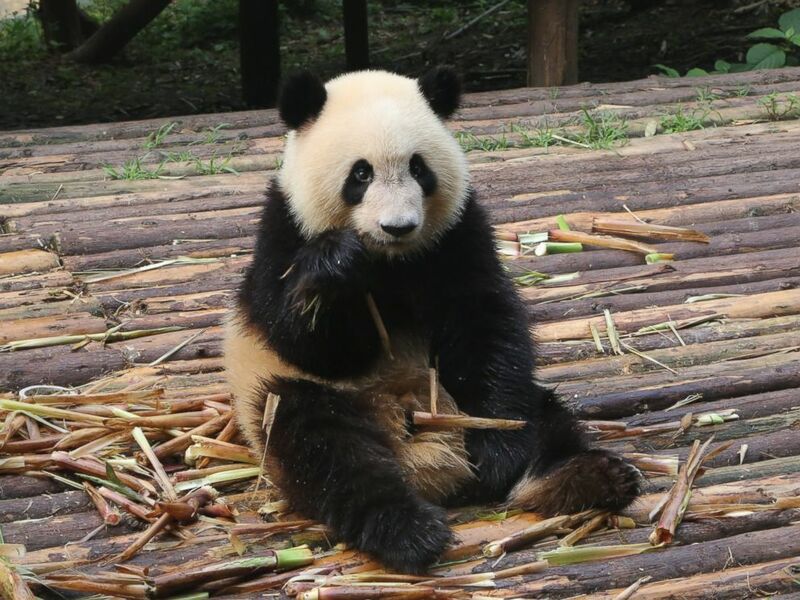 The Chengdu Research Base, which has a total of 153 pandas, has nine baby pandas of about a year old. The 55-year-old wore a protective gear, to protect herself and the lively pandas, and then started playing with a few of them. Robin Roberts has written two books with both of them landing on New York Times Bestseller List. Her first was 2007’s From The Heart: Seven Rules To Live By, which was later re-published in 2008 with an eighth rule, and her second book was 'Everybody’s Got Something,' which she published in 2014 after her bone marrow transplant and return to GMA. Mason, who also works at the Chengdu Research Base, described that usually the pandas' routine consists of sleeping, playing and eating. The guide also revealed that 26 to 84 pounds of bamboo are needed on a daily basis.